If only life came with a script. Anna Jeffries has spent the last thirty-two years blending in, content in her worn-out reading chair-her happy corner of the world-spinning romantic scenarios she's certain reality can't deliver. After three years of teaching Shakespeare at UC Berkeley, Anna is working toward full tenure. Her life in the classroom means everything and she can't imagine wanting more... until she does. Dane Sivac is in his second year as the wide receiver coach, and with new talent on the team this year, he's beginning to think his future may hold a permanent position with Cal-as permanent as any coach can hope for. 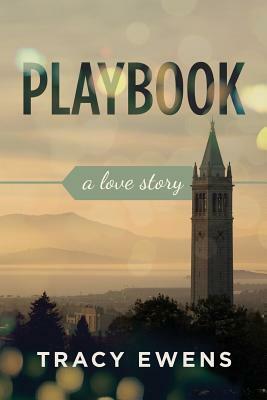 When his star receiver begins struggling on and off the field, the sports psychologist asks Dane for help. For Dane, emotions are best ignored, but his player's seemingly uptight Shakespeare professor is driving Dane nuts... until she's not. Invested in the future of a student athlete they've both come to care about, Dane and Anna are forced to work together. The attraction is undeniable, but opposing teams rarely get along. Right as Dane makes the type of romantic gesture Anna has only known in fiction, her career is threatened and she is reminded, playbook or not, she was never good at games.